Designing a large-scale, high-performance data storage system presents significant challenges. This paper describes a step-by-step approach to designing such a system and presents an iterative methodology that applies at both the component level and the system level. 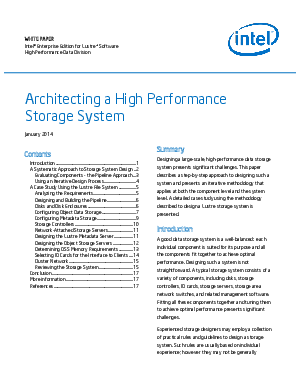 A detailed case study using the methodology described to design a Lustre* storage system is presented.